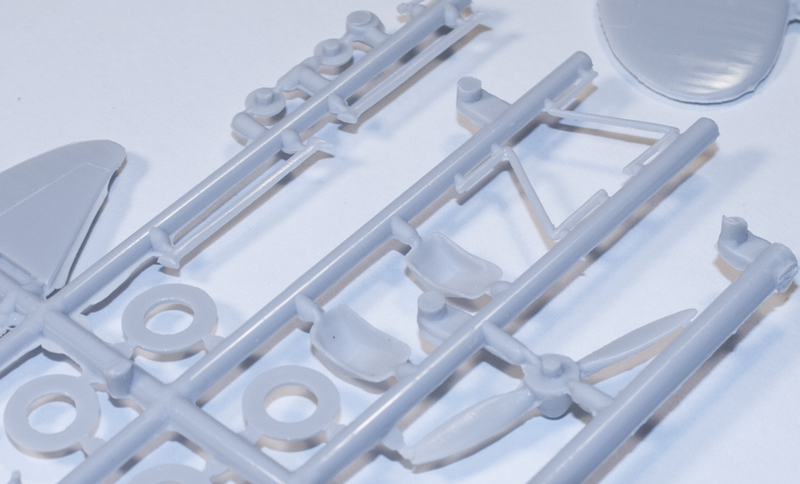 One of the most annoying things with plastic kits, especially when dealing with some resin and most short-run, injected plastic kits is dealing with "flash", or "mold-lines" when the two parts of a kit's mold don't mate perfectly. What happens in this case is you have a line of plastic or resin that is basically "ooze" from where the two molds meet up and aren't very tight. In most cases you can deal with this line with a sharp knife as sometimes it's a very thin line. However, when that line becomes thick there is more work involved. Plus, if the part you're working with isn't flat, then you run the risk of creating "flat spots" when you remove that flash. 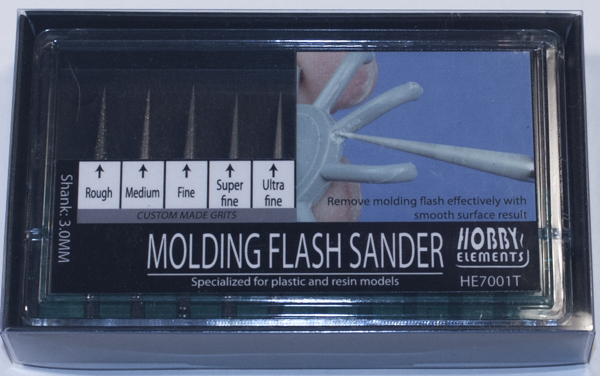 This is where Hobby Elements Molding Flash Sander comes in handy. I was thinking about what I could test this tool on, and it dawned on me looking through my stash when I came across the old Aviation Usk Ro-37. Looking it over knew it was the perfect candidate. Plenty of flash on all the parts so I pulled out the fine and ultrafine tools and went to work. I actually started on the leading and trailing edges of the upper wing to see how they would work on that. 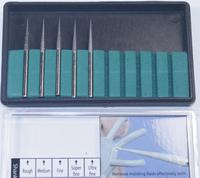 Definitely not the tool for a wing's leading/trailing edges. These areas are definitely better served with a "curved" sanding apparatus, for example the Flex-i-file. Next I moved to the struts and the tools worked much better. By keeping the struts on the sprue I was able to handle them better and it was easier to get into the small angles with the tool. The only problem I had with the struts could have been my own problem – the tool ended up "bouncing", resulting in an "orange-peel-like" effect which needed to be sanded away anyway. If this was my problem then yes, the tool is good for this type of application, especially in the areas where the struts come together, forming an acute or right angle. Getting into these types of areas is difficult with anything other than the tip of a sharp #11 knife blade. However, it was the next area where the Molding Flash Sander really shined. 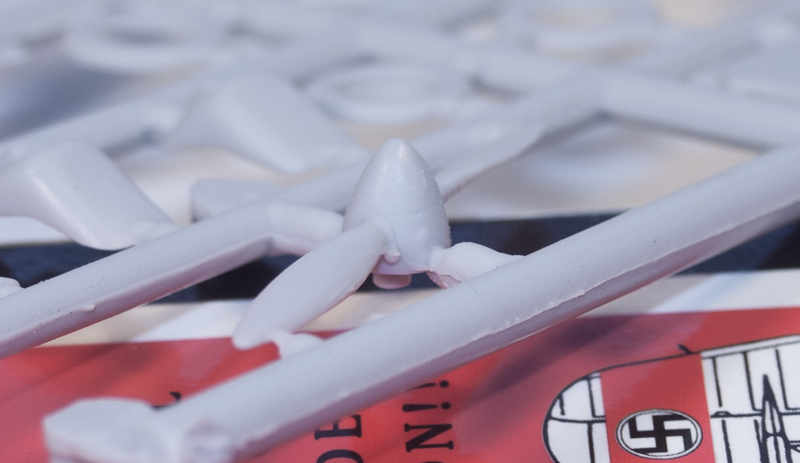 The prop in the Ro-37 kit is one-piece molded with the spinner. Because of limitations with short-run injected kits at the time there is plenty of flash between the prop blades and the spinner. Starting with the fine tip I removed the worst of the "junk" and then switched to the ultrafine tip for final cleanup. This is exactly what this tool is meant for. I did have to do some final clean up with some sandpaper, but it was just smoothing everything out. So, is this tool worth the cost? 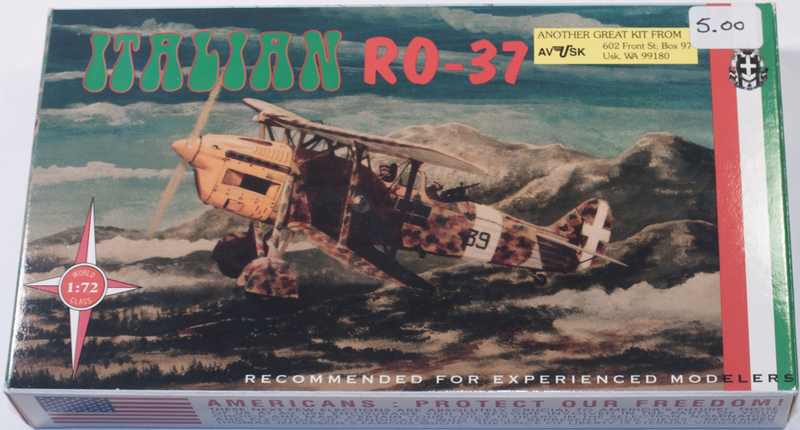 In the case of what it accomplished with the prop/spinner on the Aviation Usk Ro-37, I would say yes, especially if you build a lot of short-run models. 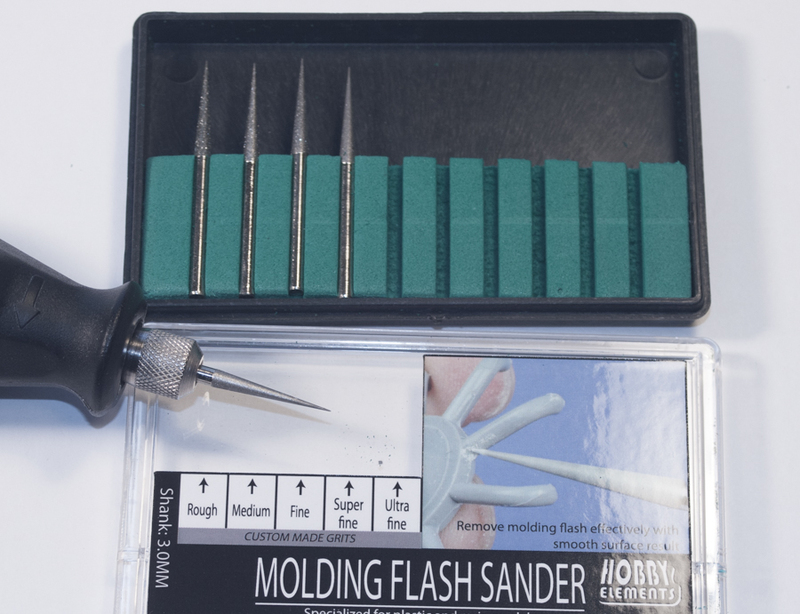 Being able to easily remove the flash the tool is named for is a big plus. In my case, when I used it on the struts and it kept "bouncing", it's probably just a personal issue I need to figure out (more or less caffiene). 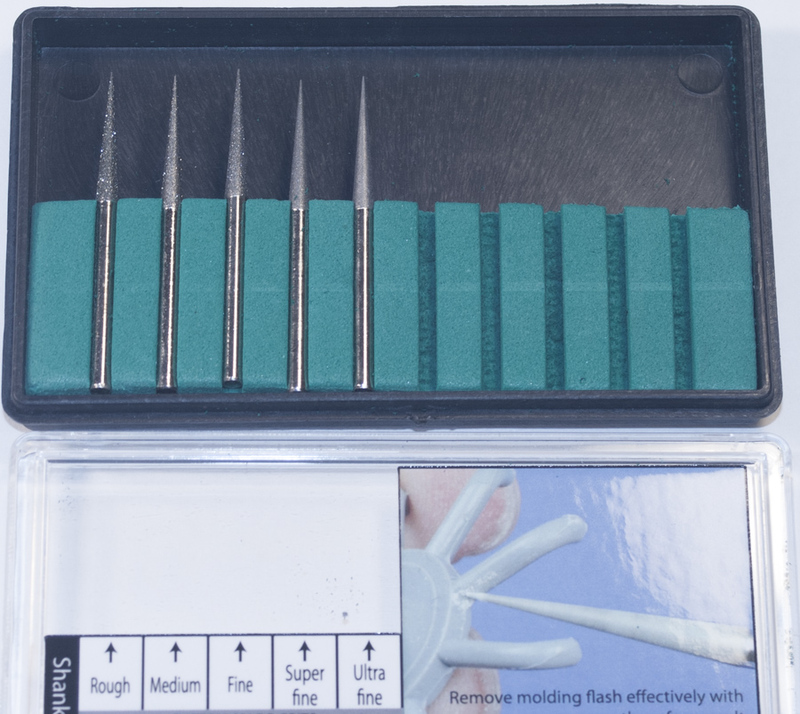 My huge thanks to Hobby Elements for supplying the tool for review. Email them for ordering instructions.